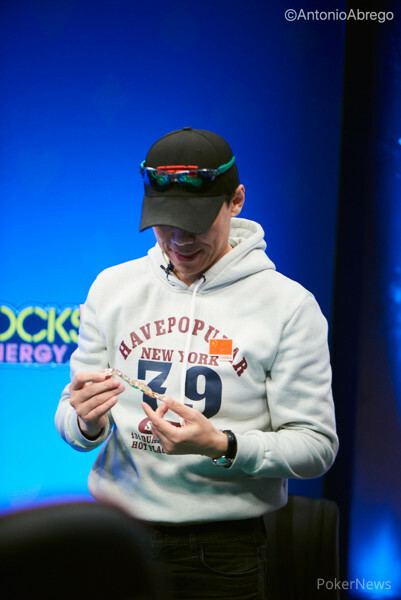 Richard Cox opened to 235,000 from the cutoff and Mike Shin moved all in for 1,800,000 from the small blind. Cox made the call and the two turned over their hands with Shin at risk. 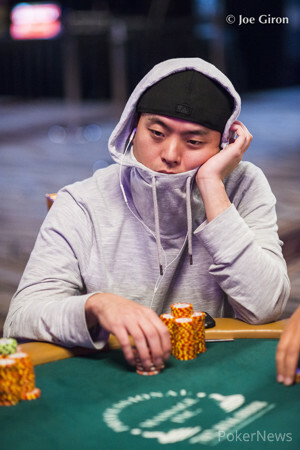 The flop came down in the favor of Shin as the dealer flipped over , giving Shin a pair of sevens and taking the lead. The turn was the and Cox now took a commanding lead. When the hit the river, it was Cox with the best hand and Shin was sent to the payout desk.